When people think of devastating auto accident injuries, the word "whiplash" is often the first thing that comes to mind. 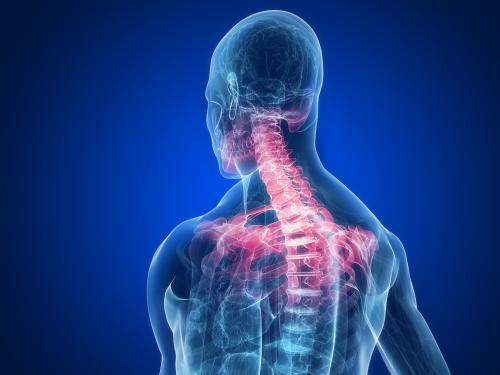 This particular injury may actually consists of several injuries rolled into one, from muscle strain damaged joints to pinched cervical nerves.This means it also causes a multitude of debilitating symptoms which aren't likely to away until you seek help. That's why Synergy Health Partners offers a variety of natural, non-surgical treatment techniques to help you feel like yourself again. The same sharp motions that cause whiplash can also leave you with a concussion as the brain impacts the inside of the skull. This injuryproduces some of the same symptoms as whiplash. Even if you have no whiplash symptoms at all after your auto accident, you should always get your spine evaluated to check for any lurking injuries whose symptoms have been delayed due to shock and adrenaline. Our team can evaluate your spine while alsodetermining whether some of your symptoms are being caused by a concussion instead of a neck injury. If whiplash is definitely the problem, then we can combine a number of safe, effective services to create a personalized treatment plan. Chiropractic adjustment is a tried-and-true solution for the cervical misalignment that causes joint stiffness and pinched nerves. We can correct joint position to restore freedom of motion and free trapped nerve tissue. Massage therapy, cryotherapy, low-level laser therapy and other techniques can soothe injured soft tissues, while corrective exercises help them heal correctly. Contact Your Denver Auto Accident Injury Clinic Today! Don't let your quality of life get whipped by a case of whiplash in Thornton, Aurora or the Denver area. Call us at720-410-5237to setup an evaluation so you can get the treatment your neck so desperately needs!